Burke Rhind was a sought-after actor in the 1960s, appearing in comedy and dramas for many local companies. He came to the Valley from Seattle in 1961. There, he had appeared in 48 productions for the Professional Equity Company. In Phoenix, he appeared in No Time for Sergeants and Teahouse of the August Moon for Phoenix Little Theatre, Two for the Seesaw at Circle 16 Playhouse and Sweet Are the Roots for the Jewish Center Players. 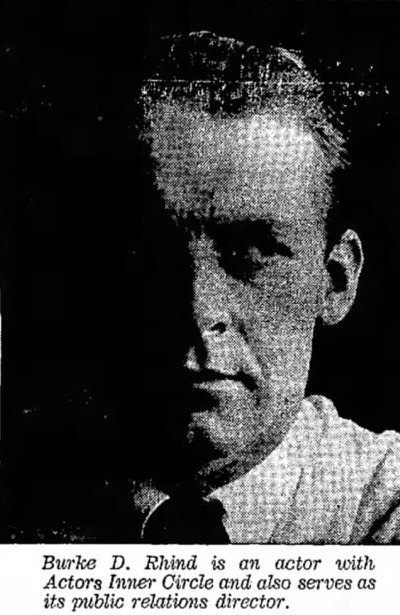 In 1966, Burke was named public relations director of Phoenix Little Theatre. 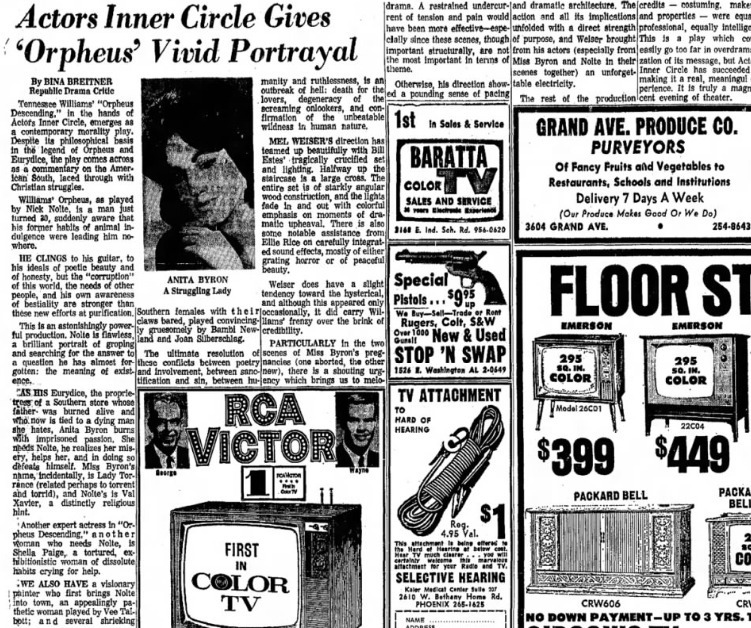 He was the star of the Actors Inner Circle production of The Rose Tattoo (1968), while Nick Nolte had a small part in the Tennessee Williams sudser. Perhaps his most memorable role was as psychiatrist Sigmund Freud in Scottsdale Community Players’ production of A Far Country (1965).